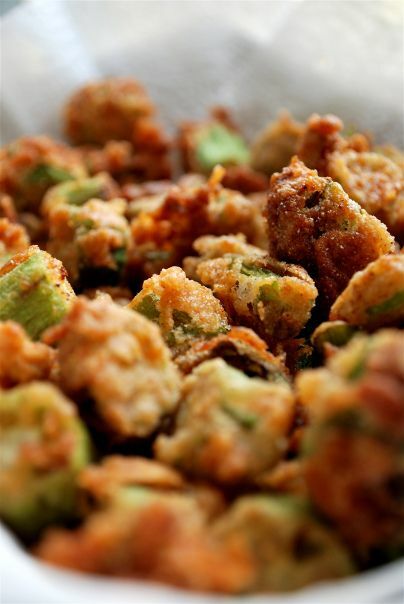 Real traditional Southern fried okra isn’t deep fried at all. It’s just tossed in a little cornmeal and pan-fried with salt and pepper. It’s delicious that way and it’s delicious deep fried.